A vegan falafel mix that is also gluten free and organic – what a treat! Creating delicious spicy falafel couldn’t be easier - just add water, shape, fry and serve, all in just 20 minutes. Perfectly spiced with the Middle Eastern flavours of cumin and coriander. 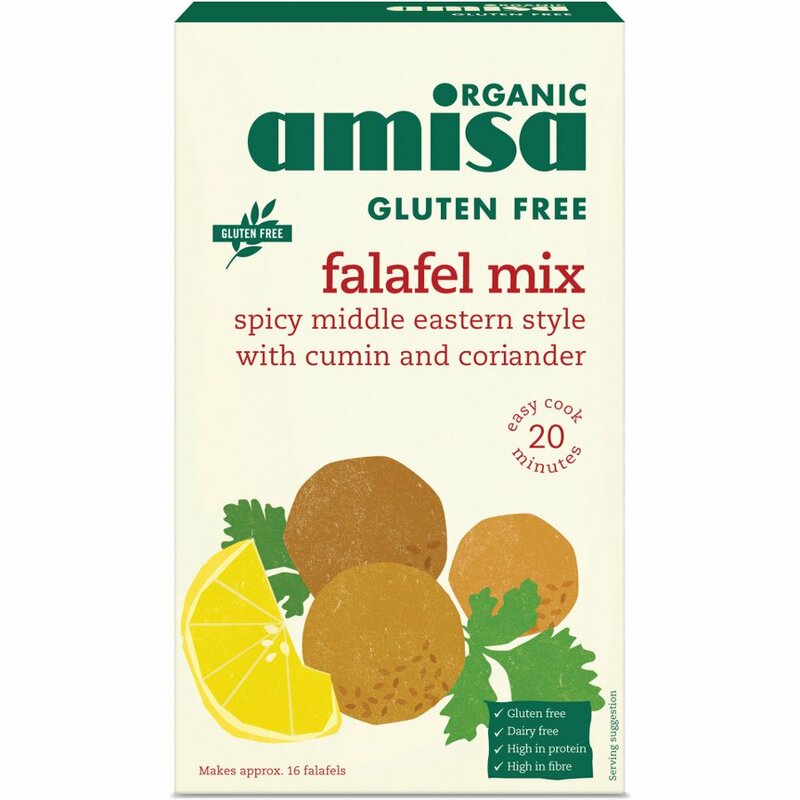 The Amisa Gluten Free Falafel Mix - 160g product ethics are indicated below. To learn more about these product ethics and to see related products, follow the links below. 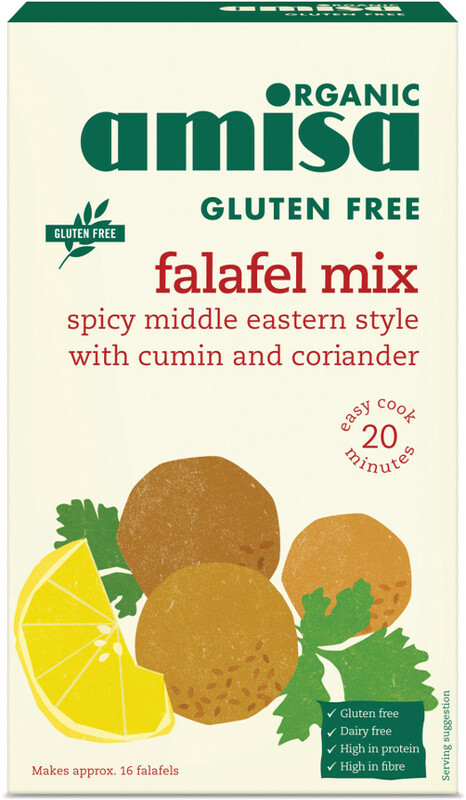 There are currently no questions to display about Amisa Gluten Free Falafel Mix - 160g. Amisa provides nutritious, healthy and organic food that cares for consumers with special dietary needs. All Amisa gluten free products are batch tested for gluten - so you can trust and enjoy them. Amisa products avoid the use of additives, preservatives and chemical pesticides. so by using the best quality ingredients, unrefined where possible, their products always deliver great taste.